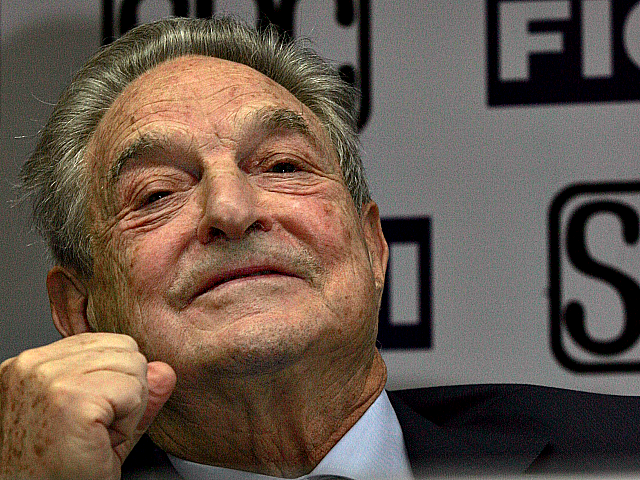 A new video from the American Association of Evangelicals reveals how George Soros, through his many funding ventures, has been busily infiltrating the Christian base in America to divide, and ultimately conquer, the religious minded within the Republican Party. Truly, with the left, political wars know no bounds. Nothing’s sacred; not when it comes to the leftists’ drive to succeed. His denial’s proven a bit — umm, wrong. Christians, beware. Patriots, be on guard. Anyone can toss down a Christian card, even an atheist. But a clue to identify an anti-American enemy is the wolves always want Big Government, bigger government, a more powerful centralized system with weakened rights for the individual — and if it’s secret Soros dollars and Bible-thumping that gets them there, so be it. This entry was posted in 2018 Election, Government, Politics, Religion, The Culture, Uncategorized. Bookmark the permalink. This evil man has his tentacles everywhere. I’ve known about Jim Wallis for a looooooooooong time. Bad juju. Are you connected with another blog? I just saw basically a copy of this posted. A number of blogs quoted the Washington Times article about this last October. I linked to the original article, and included text from it in my post. I imagine that is what other blogs did too. The only other blog I am affiliated with is The Conservative Treehouse, where I am an administrator.